After eight years Bobo Balde’s Celtic career is finally over after the towering Guinean defender’s lucrative contract expired, much to the relief of the club’s support - and their accountants. Even though he has barely kicked a ball in the last three seasons Balde has been enjoying a tidy £28,000 per week - £5 million since 2005 - at the Parkhead club, making him one of the highest paid players on the books (as well as one of the longest serving having been at the Hoops since 2001). It has also been reported that the player will also earn a £1 million loyalty bonus at the end of his Celtic contract, which expires today. Despite his extended absence from competitive football, it surprisingly appears that the 33-year-old is set to earn a move to the English Premiership with new boys Birmingham and Burnley among his potential suitors. Attempts were made by former boss Gordon Strachan to offload the big stopper, but nothing bore fruit for a player who seemed willing to forgo first team football and his career to stick two fingers up to the club’s bosses. 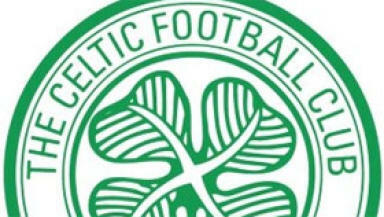 Chief executive Peter Lawwell also publicly declared his disgust with the player after he refused an offer from Birmingham to match his Celtic wages. Balde and Strachan also apparently had their differences, leading to the player being banished from the first team squad and made to train with the reserves and youth players. Harsh measures to take against a player who had performed with merit in the Champions League as well as the UEFA Cup Final in 2003. And as the recent spat between Strachan and McGeady (which may also have been down to personal differences) shows, the diminutive former Southampton and Coventry boss can be a volatile character to deal with. The French-born player is said to have kept his head down, got on with training, well aware of his rights as a player. In the end Balde is the one who has had the last laugh with a healthy bank balance and potentially still getting the chance to pull on his boots in the big time. And of course, he even outlasted his nemesis Strachan, if only by a few weeks. But as ever it is the club’s fans who have felt the brunt of the behind the scenes squabbles at Parkhead, after all, think what that £5 million in wages could have done for the club in the current financial climate. So now it is adios for Bobo, gone, and tragically for fans he is unlikely to be forgotten any time soon in what has been a sorry saga for Celtic.